The book covers the fundamentals of Safety Culture, Leadership and Risk Literacy. It explains each on their own with use of formal models and extensive references to research and then moves on to how individuals are motivated. Combining those four concepts it explains how the norms of an organisations Safety Culture are formed, affect individual behaviours and importantly how changes to the working environment can influence behaviour and ultimately improve the safety culture. The final chapters focus on techniques to turn the theory into practice. Throughout the book use is made of case studies drawn from experience over three decades of Safety Culture improvement in organisations worldwide. 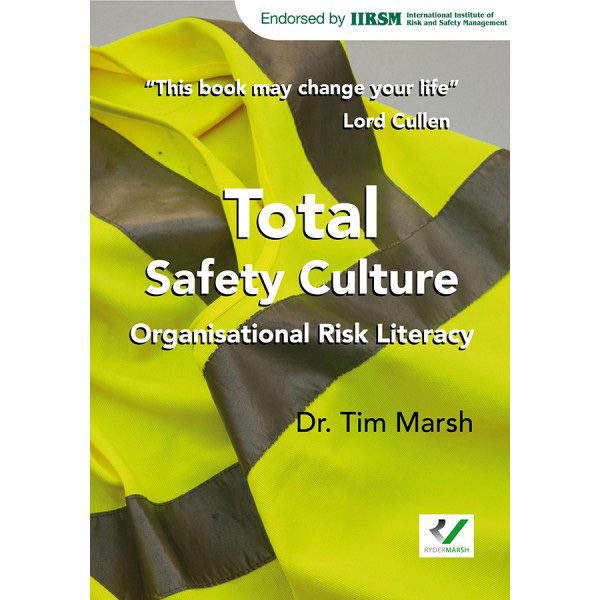 The book explains Safety Culture, Leadership, Risk Literacy and how individuals are motivated. It explains how they combine, Safety Culture norms are formed, affect individual behaviours & how changes to the working environment can influence behaviour and ultimately improve the safety culture, using formal models & extensive references throughout.